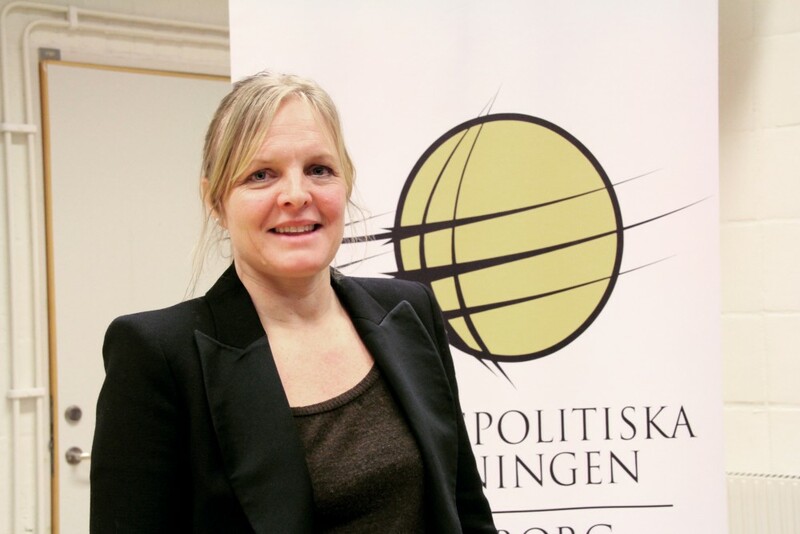 Tuesday 26th of febuary Isabell Schierenbeck, researcher and lecturer at the Shool of Global Studies at the University of Gothenburg came to Sprängkullsgatan 25 to give a lecture on how and why Israelis vote the way they do, with the Arabic spring in mind. I was there, in Israel when the Arabic spring began. I was watching the fireworks over the western wall that told me Hosni Mubarak had resigned. Isabells theme was perfect for someone interested in how Israel works, like myself and a lot of others attending the lecture last Tuesday night. To make us understand how and why the Israelis vote the way they do Isabell starts off by telling us about the different cleavages within the Israeli society and politics. Jews vs Palestinians (Arabs), Mizrachim vs Ashkenazim, religious vs secular and left vs right wing. Most often we only get the picture of the cleavages of religious and secular groups, but as Isabell shows us during the lecture there are many other groups to keep in mind while observing Israeli politics. Since there are many cleavages, and therefore a lot of big issues in Israel, a party only needs 2 % of the votes to gain seats in Knesset, the Israeli parliament. This leads to a high interest for politics in Israel. The state of Israel is only 64 years old, and yet it has already had 32 governments, despite the mandate length of four years. The reason why? Coalition governments that do not work. In the election that took place the 22nd of January this year 34 different parties were competing for parliament and 12 parties (with all cleavages mentioned above represented) gained representation in Knesset to form a government. Isabell explains how the different parties are reasoning while making coalitions and according to her it is usual that parties with completely different opinions cooperate. Interesting about the election this year is the influence of the Arabic spring on the political issues. ”They are scared” Isabell says, proving it by showing the two big issues that dominated the election 2013. ”They don’t know who their neighbours are or who they will be”, she says. The first issue is about the drafting of ultra-ortodoxs. Today the ultra-ortodoxs do not have to do military service, but a growing fear in the country makes the question about pushing them in to the army an important one. 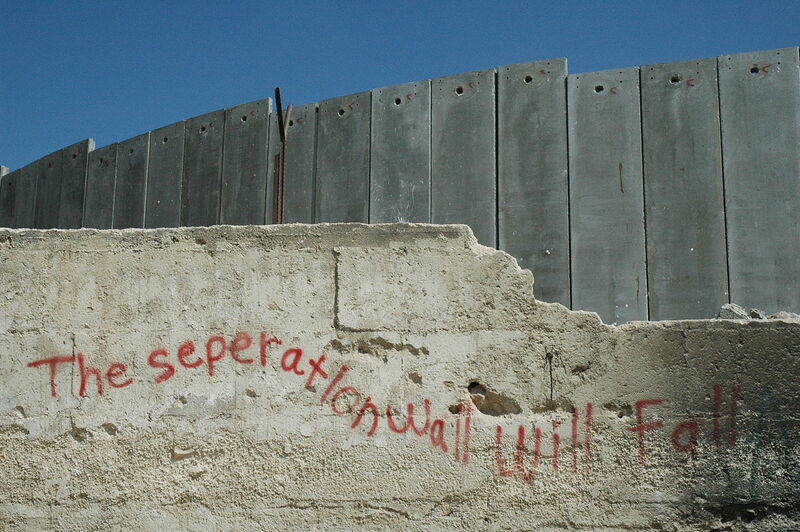 The other issue is about the social econimic situation, after the ”Israeli spring” in Tel Aviv that Isabell. One thing Isabell notes, analyzing the influences the Arabic spring have had on the politics of Israel, is that the peace process for the first time was not on the agenda (except for the party Hatnuah that wants a peace process). With the Arabic spring, a coalition government, focus on security instead of a peace process, what to expect? How stable will the Israeli politics be? Isabell thinks that there will not be any major changes, despite regional uncertainty. But she is curious about how many seats the different coalitions will get. She means that we can see a process of neo-liberalism loosing ground, and even though the peace process was not a big issue during the elections, she sees certain possibilities for progress. While Isabell is giving her lecture, it becomes clear that Hatnuah (the party that propagates a peace process) have joined the government. As one of the first parties to do so, she thinks that they have got a good deal. This, in addition to Obama’s re-election, enhance the possibility for renewed peace negotiations, according to Isabell. Thanks to Isabell’s lecture, we in the audience know more about the complexities in Israeli politics, and time will tell what the outcome will be. Who is who in Israeli politics? Likud “Unification” — A right of center party which is currently leading the government. Under the leadership of Prime Minister Benjamin “Bibi” Netanhayu, Likud represents conservative middle-class citizens. Yesh Atid “There is A Future” — A new party headed by an Israeli journalist named Yair Lapid, who many says is an upcoming political star. He was also voted for being the sexiest man in Israel. Yesh Atid is now the second largest party with 19 seats in Knesset, the Israeli parliament. HaAvoda “Labor”– Israel’s Labor party. Until 1977, all Israeli Prime Ministers were affiliated with the Labor movement, but lately the party have had troubles finding a clear path in their politics. HaAvoda is the only party in Israel led by a woman: Shelly Yachimovich. She is the second woman to hold that position after Golda Meir. Israel Beitenu “Israel is our Home” — An extreme right-wing party. The voters of this party belong to a large extent to the Russians speaking community in Israel and it is led by Avigdor Lieberman, the current Foreign Minister of Israel. Hatnua “The Movement” — This party is led by former Kadima leader Tzipi Livni and is composed of leaders from Labour and Likud that lost in their primaries. They won 6 seats in Knesset. Habait Hayehudi “The Jewish Home” — An extreme right-wing party with an ecological agenda – weird, I know! The party is led by Naftali Bennet, also a new star in the Israeli politics. The party is against the two state solution and will do everything in their power to block a Palestinian statehood. Hadash “New“, also known as “The Democratic Front for Peace and Equality” — A left-wing party that supports the complete withdrawal of Israel from all occupied territories. Their main supporters are the Israeli-Arabs. Balad “Country”, also known as ”National Democratic Assembly” — A left-wing party, almost the same as Hadash. Balad’s most famous member is Hanin Zoabi, an Israeli MK who took part in the Gaza flotilla. She was on the Mavi Marmara ship and was onboard when Israeli navy seals boarded the ship. 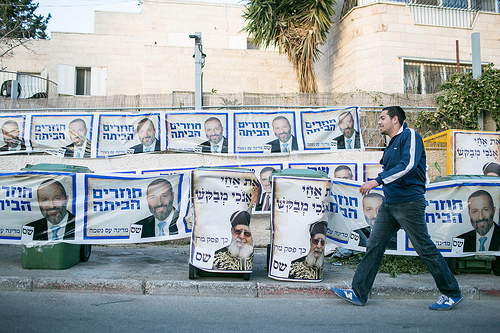 Shas “Orders” — An extremists party representing ultra-orthodox Jews. Their agenda is to restore former glory, return to biblical times and hallelujah moment. It breaks my heart to inform you that they got 12 seats in the parliament. Kadima “Forward” — A centrist party that used to be the largest one in the parliament, and the leader of the opposition. Kadima made so many mistakes over the past years that (almost) all its members left. From being the biggest party in parliament it is now the smallest one, with only two seats. After this quick guide, you know a little bit about who is who in the myriad of political parties in Israel. I must say Israeli politics are so interesting as it seems as there is a party for every imaginable problem. Actually it seems so easy to start a new party in Israel, that for the next election I think I am going to starting a new party for peace – who is with me? Posted on 13.02.04 13.03.18 Author Yacob RajesCategories PoliticsTags elections, israelLeave a comment on Who is who in Israeli politics?